It’s so easy to shop online because Scentsy offers direct shipping right to your front door, or any other address you need our Scentsy products to go. Do you need Scentsy Wax refills, replacement lightbulbs, gifts for upcoming events or holidays? This is pretty much how my front porch looks every day in the fall -and I love it! The above shipping rates are for the Scentsy online shopping convenience. It’s pretty great when you can sit in the comfort of your own home and order your Scentsy products as you need them. Scentsy offers direct shipping so you don’t have to attend a party, you can order products online with no need to wait. Order Scentsy refills, replacement parts, or purchase gifts for friends and family who live out of state. It’s so easy to shop for Scentsy products online and have them direct shipped. Who could ask for more, than the convenience of a Scentsy online store, and direct shipped right to your door! Shop for your Scentsy products online today! 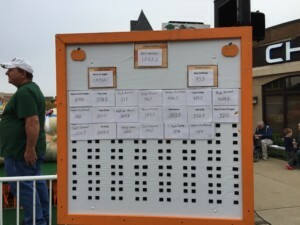 Another successful week at the Circleville Pumpkin Show 2016! We love catching up with our customers, meeting new customers, seeing the joy as customers experience new fragrances, or finding their returning favorites. It’s a LOT of work, we’re exhausted, the rain shut us down for half a day, but it was an adventure. 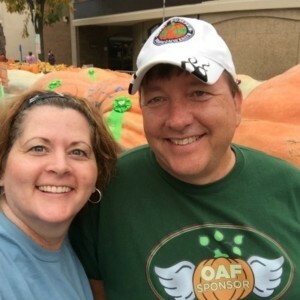 Until next year, when you’ll find us back in our favorite spot (down the alleyway, behind Schmidt’s), you can purchase Scentsy products online. 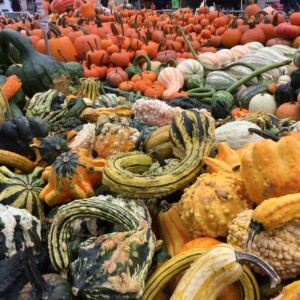 There are so many pumpkins, but these giant pumpkins are amazing. To grow big pumpkins, it takes a lot of care and nurturing, water and shade. 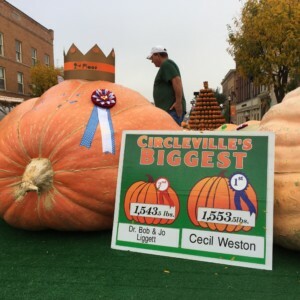 The Circleville Pumpkin Show winner this year was Cecil Weston, and his giant pumpkin weighed in at 1553.5 pounds! It was a close win with only a 10-pound difference for the number 2 spot, weighing in at 1543.5 pounds from Bob and Jo Liggett. It’s pretty fascinating to see all the big pumpkins and talk to the growers. There are plenty of family-friendly things to do at the Circleville Pumpkin Show. 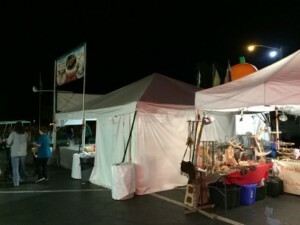 Stop by and see the giant pumpkins and pumpkin tower, purchase regular size gourds and pumpkins, there are a lot of street vendors so you can get an early start on your holiday gift buying. You can plan on 2 parades a day (3pm and 8pm) with floats and marching bands, even The Ohio State University band usually marches on one night. There are local bands that play on the big stage, contests to watch, rides for the kids, and let’s not forget the food! The amazing food that they have at the Circleville Pumpkin Show. If you haven’t had a donut from Lindsey’s Bakery, you’re missing out! If it’s not very first thing on your list, you may end up standing in line for quite a while -sometimes for up to 2 hours. They seriously are that amazing! There is also Schmidt’s, real German Food! Oh, they have the BEST cream puffs and sausages. 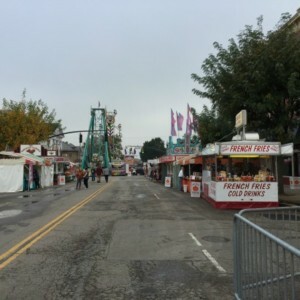 If you’re looking for a Scentsy booth at the Circleville Pumpkin Show, there are a couple so be sure you’re coming to the right one. 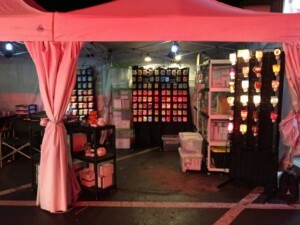 Our Scentsy Booth is located behind Schmidt’s (down the ally-way). We pride ourselves with great customer service, Scentsy samples to try, new catalogs and product sheets, and of course our great Scentsy products that you can purchase. It’s so great that our customer base continues to grow because they see the value in coming into our booth. 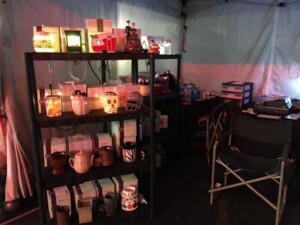 Having a Scentsy booth at the Circleville Pumpkin Show allows us to interact with our regular customers, as well as those customers who purchase Scentsy products online. Most just need replacement lightbulbs and Scentsy wax, but some are looking for more specific items for gifts or personal use. Our favorite thing is when a customer comes in to show friends a favorite fragrance and they share stories of why that fragrance is so significant. 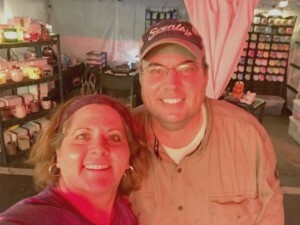 We talk about family, fragrance, and new Scentsy products. Our Scentsy booth is down the ally-way, but we make it worth the extra little bit of walk to come see us. We had the best time at the Circleville Pumpkin Show 2016, and are already making plans for our Scentsy booth at the Circleville Pumpkin Show 2017. It will be another epic year for our booth, and hopefully all the booths because they mostly are operated as small family businesses. Thank you to all our customers for a very successful year at the Circleville Pumpkin Show. We hope you love your Scentsy products and look forward to seeing you in 2017! If you need Scentsy Bar refills before then, or other Scentsy products, you can shop online and have your items direct shipped to you. 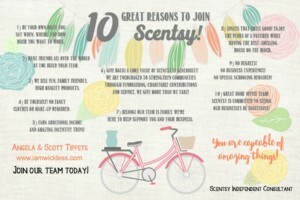 Have you ever thought about starting your own business, and all the great reasons to join Scentsy? Every morning I get up and feel so grateful for the hard work, the sacrifices, and the determination that’s driven my business to success. It’s been over 9 years since I made the choice to start a Scentsy business, and it seriously has been one of the best choices of my life. You can read more of my story here. Scentsy products are easy to sell, and people will tell you that “Scentsy sells itself” -I’m here to tell you that while Scentsy is easy to sell, as a business owner -it’s up to you to get the awesome products under people’s noses. Owning a business means you are willing to do things differently. Sometimes that means that while your family is watching a favorite show, you are working on social media, or out doing parties, or making phone calls with customers. It means you are building relationships, engaging with team members, and learning leadership skills. Scentsy products are easy to sell, they are fun to sell, and the hours are flexible, which is awesome! Be your own boss! You say when, where, and how much you want to work. Make friends all over the world as you build your team. We sell fun, family friendly, high quality products. Be yourself! No fancy clothes or make-up required. Earn additional income and amazing incentive trips! Give back! A core value of Scentsy is generosity. We are encouraged to strengthen communities through fundraising, charitable contributions and service. We give more than we take. Belong! Our team is family. We’re here to help support you and your business. Spaces that smell good! Enjoy the perks of a paycheck while having the best-smelling house on the block. No degrees! No business experience! No special schooling required! Great home office team! Scentsy is committed to seeing our businesses be successful! There are a lot of options out there in home party, so why sell Scentsy products? It really comes down to passion for the company, passion for the products, AND making sure that whatever products you decide to sell are consumable. I did a lot of research before joining Scentsy -I thought about selling Scentsy products for months! I didn’t want to do facials, cook for anyone else, or carry heavy loads of anything around. I wanted to sell for a company that showed growth and sustainability, had forward thinking, a solid foundation, and definitely was a member of the DSA (that’s a biggie!). Scentsy offers everything on my checklist! I had not idea that one of the best reasons to join Scentsy would be the feeling of family -like I belong and I’m valued. 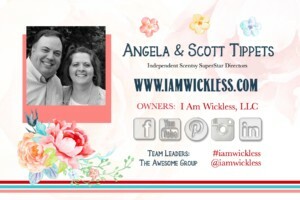 We have a the most awesome team too -so awesome that we’re called The Awesome Group! If your on the fence, and have more questions about starting a Scentsy Business , feel free to contact me so we can chat. I’ve been doing this for a long time and would love to help you be successful. Staring a Scentsy business can be scary -because let’s face it, no one wants to fail. There are so many tools in place to help you, answer any question you have, tips, ideas, trainings -all you have to do is take that first step and join! We’d love to have you on The Awesome Group team and to help you find your definition of success!